Super easy to set up, cut, dice or slice wherever you need and cleaning is so simple! The Ultimate 12 in 1 Easy Slicer is an amazing tool that gets rid of a tonne of unnecessary kitchen utensils and replaces them with ease! Throw together vegetables for your main dish, a side salad, or a fruit salad quickly and without difficulty. Check out the video below to see it in action! 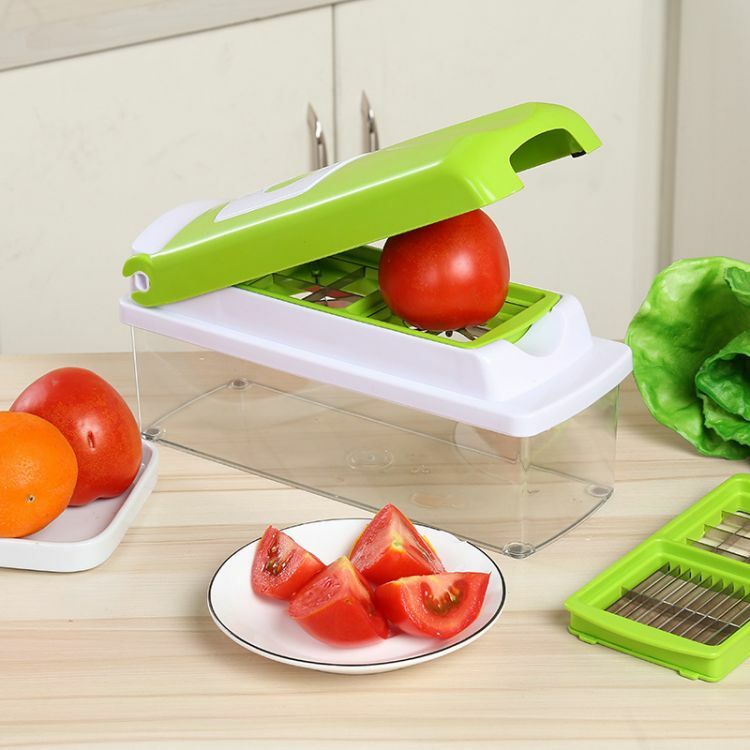 The Ultimate 12 in 1 Easy Slicer has 5 interchangeable blades and a heap of extras! It also has a hand protector and finger guard that keeps your fingers safe from harm at all times! This is simply a must have for your kitchen! Order today and enjoy a massive 50% off!